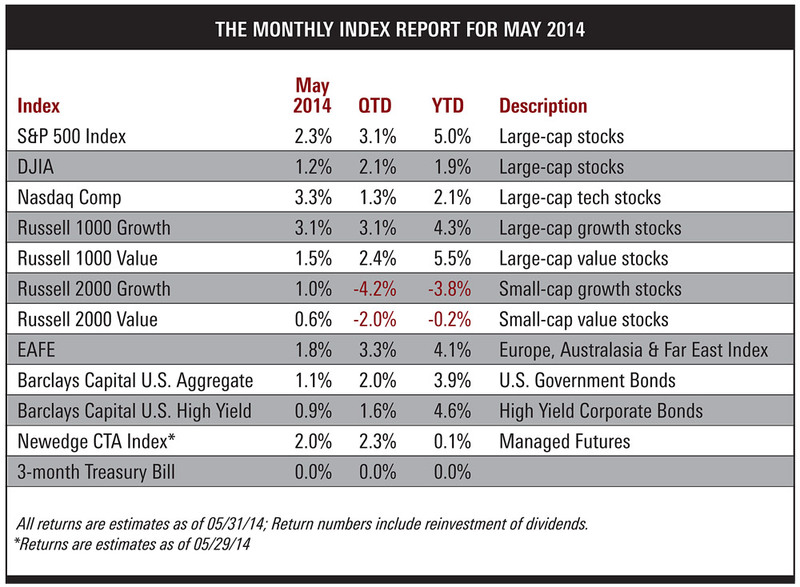 In a year of surprises for investors and their advisors, so far the sum of the parts is exceeding the whole. So far, 2014 has been a year of surprises. From Russian rumblings to global cooling, this has been the year the predictors has gotten it all wrong. On the investing front, perhaps the most astonishing development is the rally in Treasuries. Few if any pundits called for rates to drop. But indeed they have, to the point where U.S. government bonds have returned more year-to-date than even the riskiest distressed debt. And let’s not forget stocks. While there isn’t much real logic to support a meaningful slide in equities, the argument for a continued bull run also seem a bit thin. Yet the market keeps making new highs while volatility sinks. And who is real winner here? The well diversified investor, of course. While their shares keep rising, their fixed income holdings—which serves to right the portfolio ship in rough market seas—is also showing nice gains. So far, 2014 has proven to be one of the times when the sum of the parts exceeds the whole. My advice is to enjoy the ride while it lasts; things are apt to get trickier later in the year.